Hall of Famer Billy Williams was the 1961 National League Rookie of the Year for the Chicago Cubs. Williams would spend 16 of his 18 seasons on the north side of Chicago where he would hit 392 of his 426 career home runs. 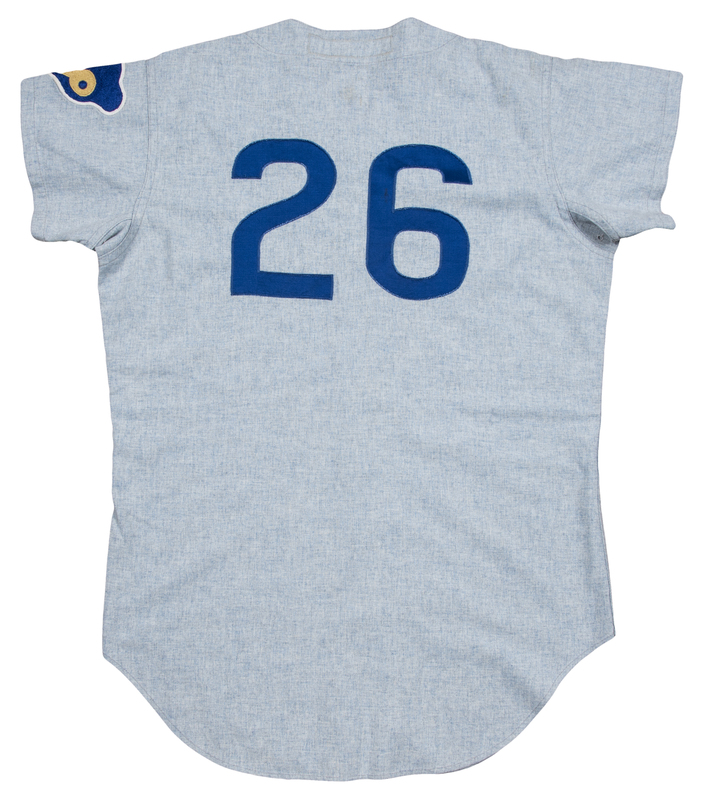 1971 was a solid year for Williams as he batted .301 with 28 home runs and 93 RBI for the third place Cubbies. Williams wore this size 40 Wilson button-down road gray flannel Chicago Cubs jersey during the 1971 season. 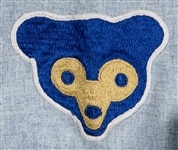 “CHICAGO” is arched across the front in sewn-on blue tackle twill, with Williams’ number “26” sewn on the center left chest in blue. 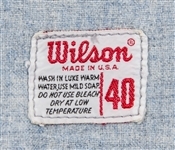 The Wilson size 40 tag is sewn on the base of the front left tail. The inside collar has the matching gray team strip tag that has stitched in blue “26-1971 Set 2-40”. 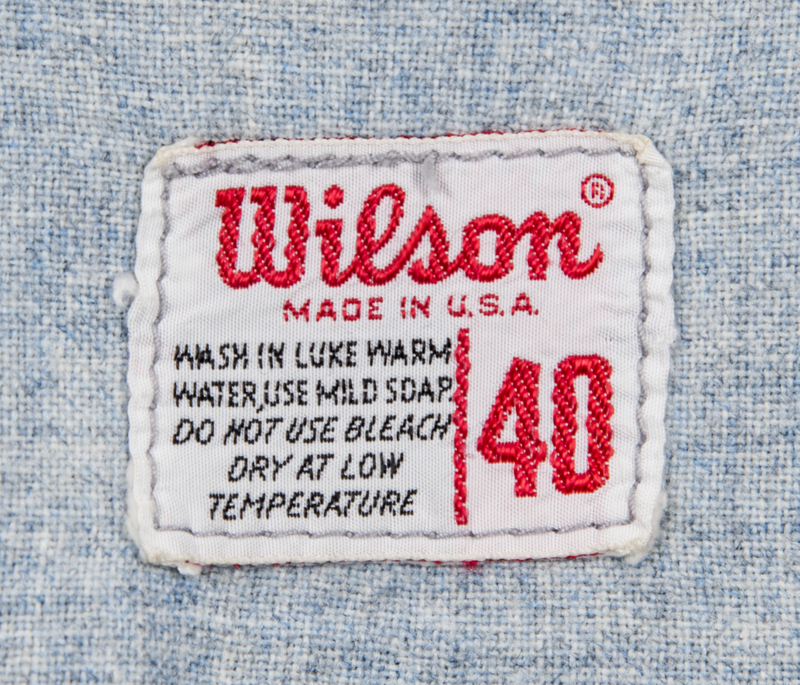 The sleeves are the typical shortened length from the early 1970’s flannel era and have vented underarms. 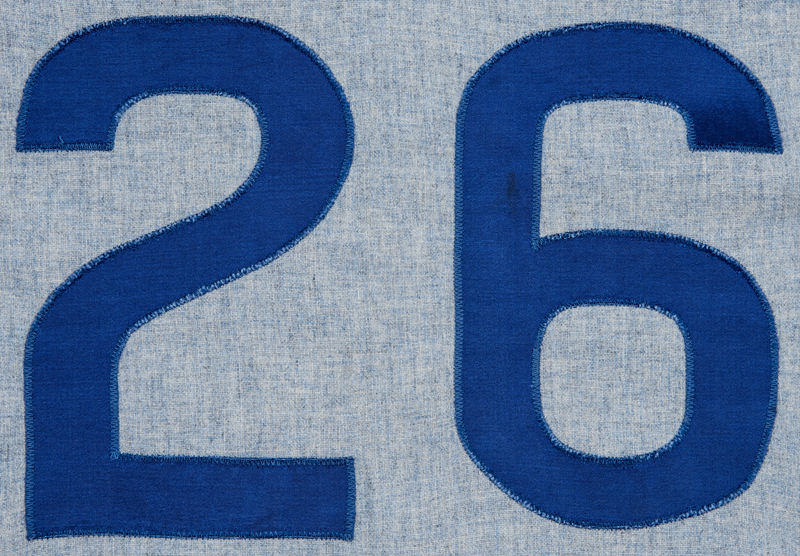 The back of the jersey has “26” sewn on in blue tackle twill and the left sleeve has the Cubs’ bear patch sewn on. Williams has signed his name in bold black marker on the right front tail. 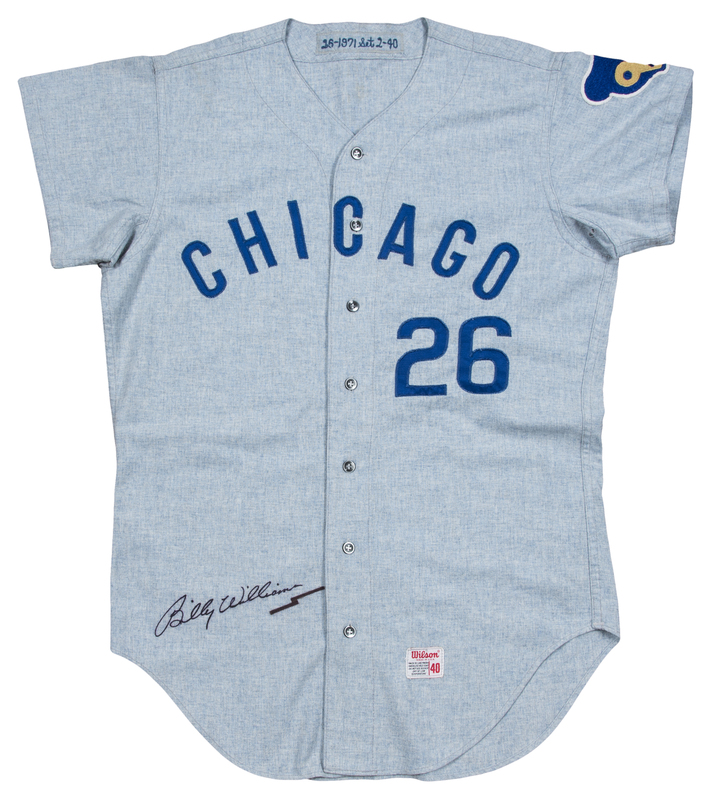 This jersey displays moderate use and is one of the finest Billy Williams Cubs’ gamers ever offered. This jersey comes with a LOA from Mears (315357), who have graded this jersey a perfect A10. 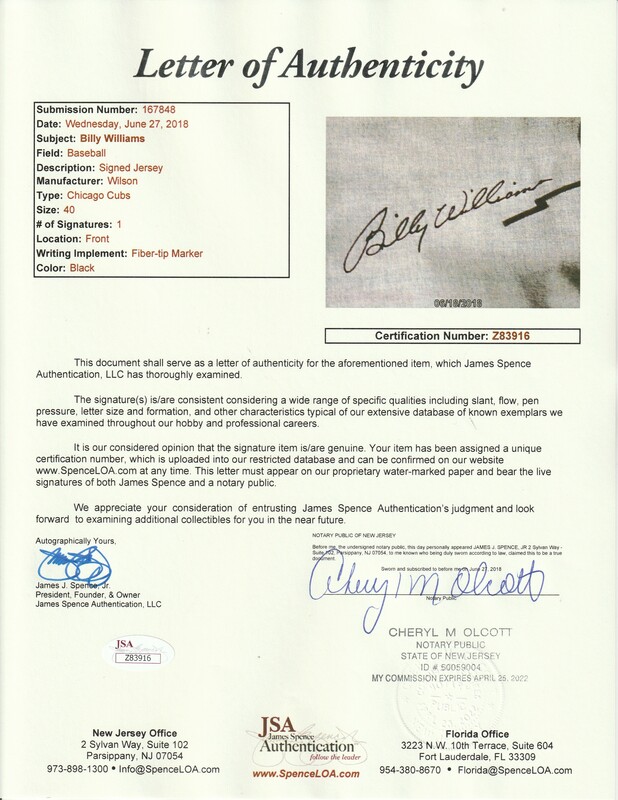 There is also a LOA from JSA (Z83916) for the signature.